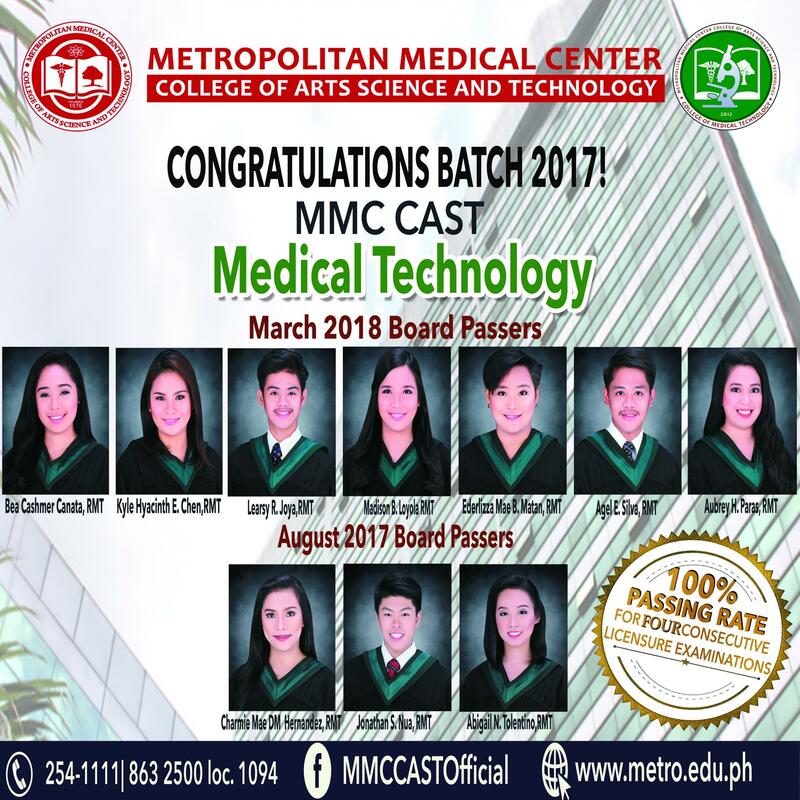 (formerly known as Metropolitan Hospital College of Nursing.). MHCN was an outstanding education in nursing, where I learned practical skills easily applied to the health sector. 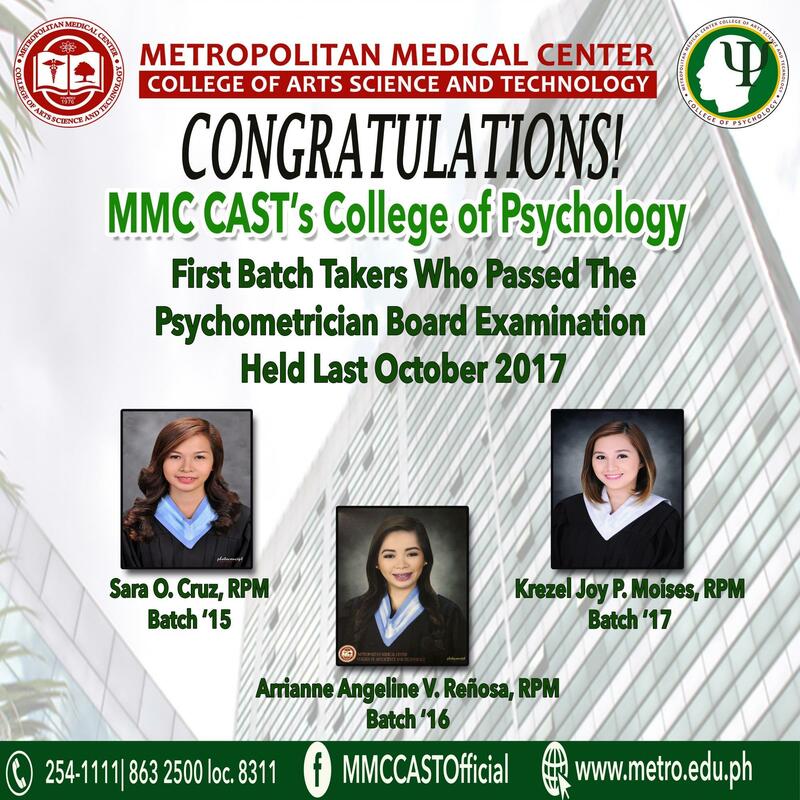 With a legal education, the specialization in the clinical area enabled me to pursue a broader range of career opportunities because of the different affiliated areas where we assigned because MHCN graduates have more experience in handling patients. 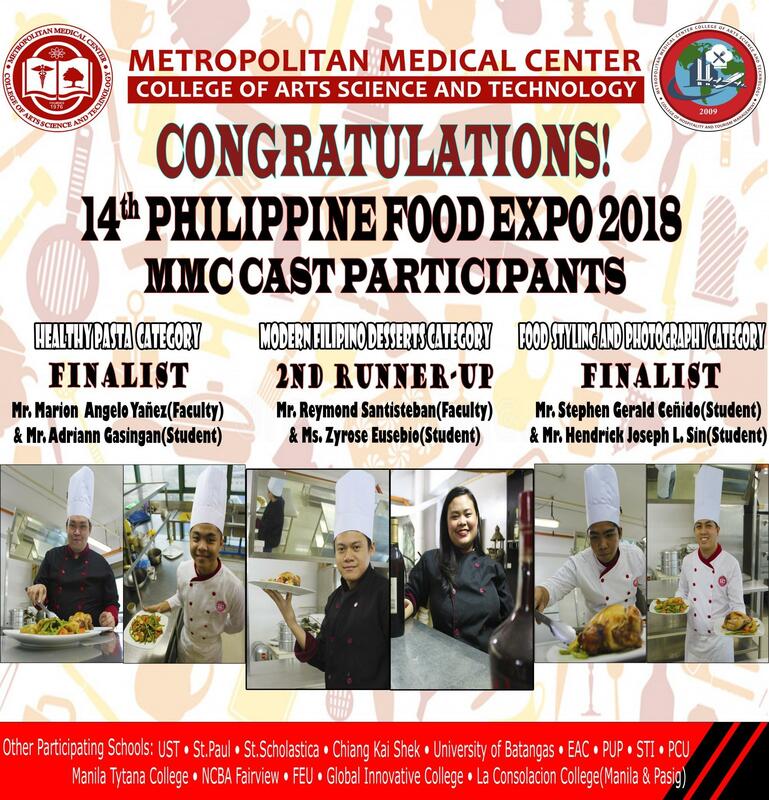 Additionally, MHCN has provided a vital network of professors, who have been influential to my career and continuing education endeavours and professional values instilled to us like loyalty, perseverance and discipline." "MHCN clinical exposure to different areas was an unforgettable experience for me, when we visited a home sheltering mentally retarded patients. 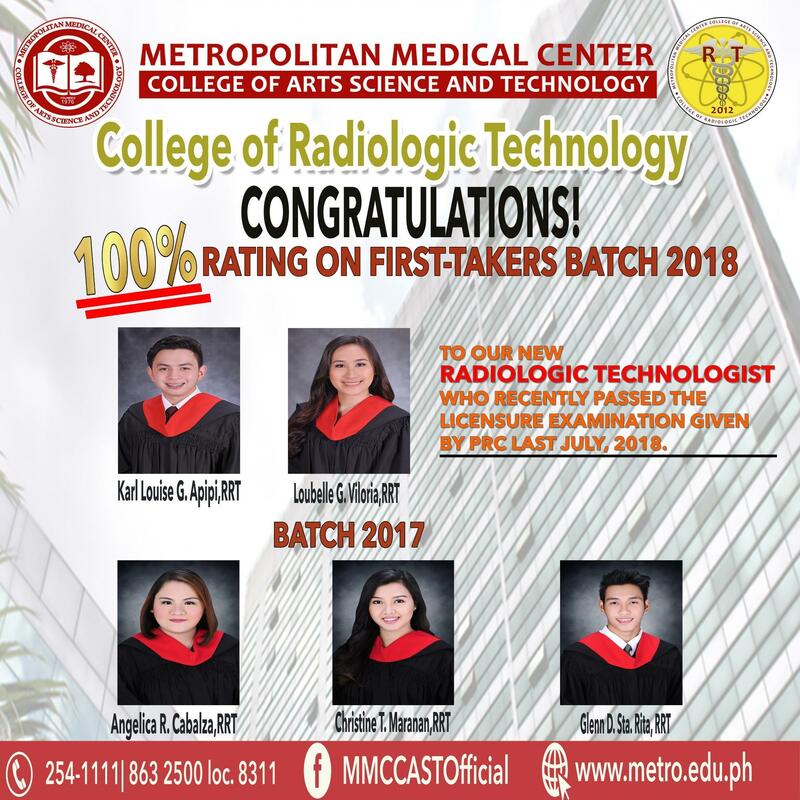 Not only did I feel challenged academically through courses taken, but I have gained skills that developed invaluable professional and leadership skills through my involvement in every return demonstration and training that focus on patient care." 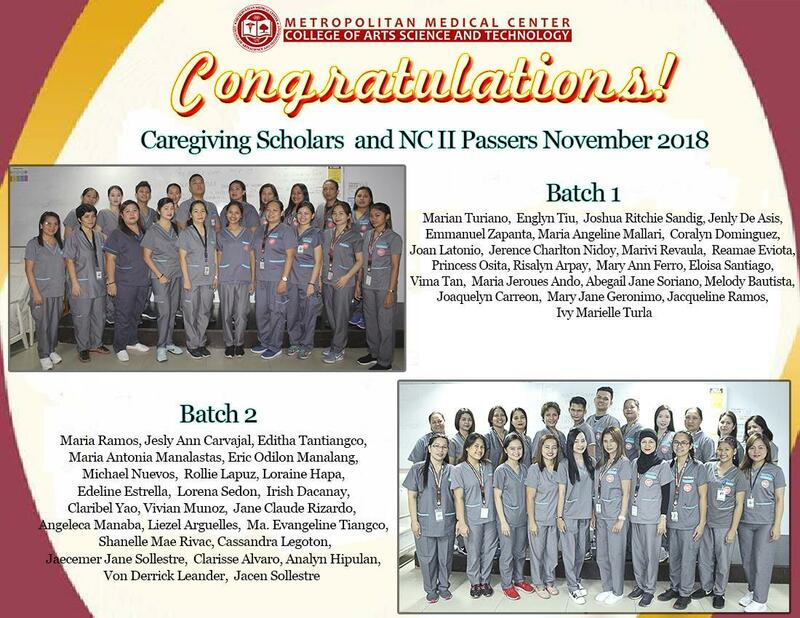 "I sincerely appreciate my learning experience in the Bachelor of Science in Nursing at Metropolitan Medical Center College of Arts, Science and Technology (formerly known as Metropolitan Hospital College of Nursing). The consistency, competency and honesty in the sense of boldness are the professional values instilled were evident and faculty and staff lived values through relationships with students and through integration of faith and learning in each class. 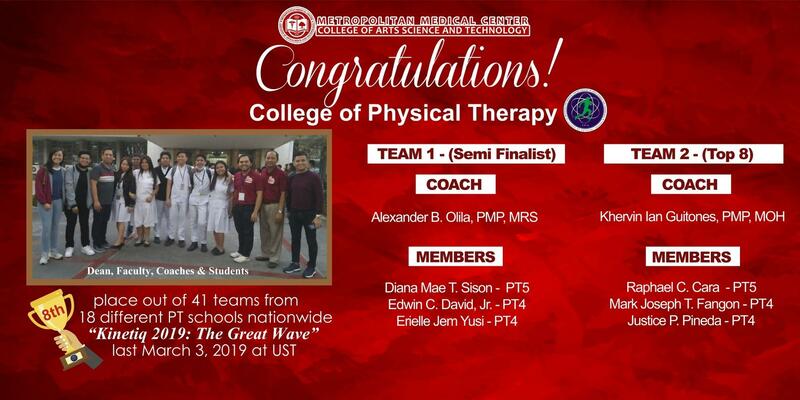 The professors were knowledgeable in their subject areas, clear in their expectations yet flexible enough to allow for critical and creative thinking. I appreciate our clinical exposure in different hospitals because it served my experienced and personal development that enhanced my perspective and expectations at different situations, people with different walks of life. 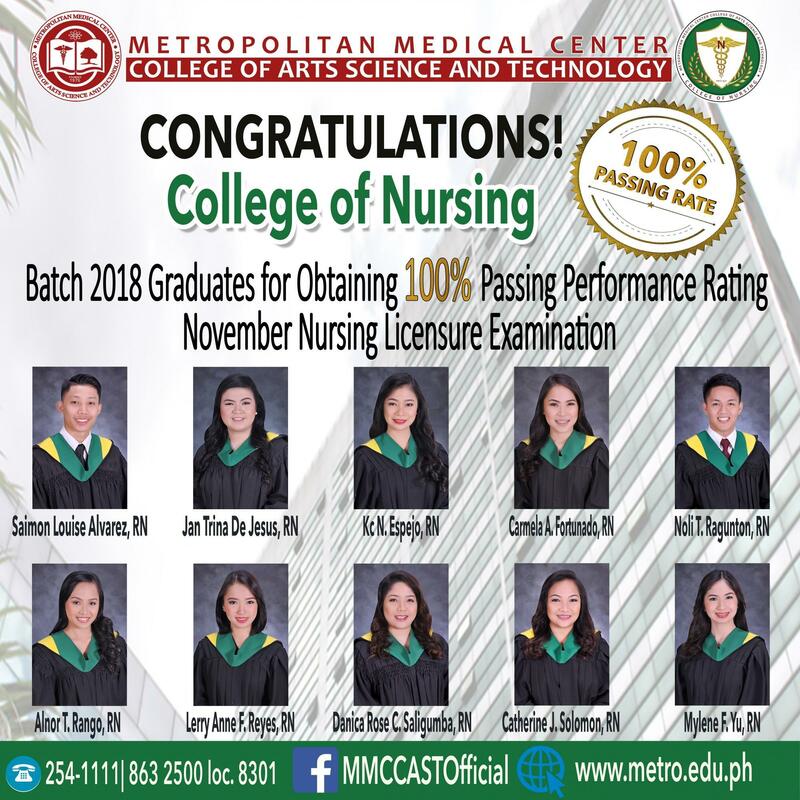 Compare to other nursing graduates of other institution, MHCN alumni was not rhetoric of experience inside the classroom but an actual life events that changed us as a person and be competitive globally"